Seen in a stained glass shop - a labour of love. Done by Any Neiman, a mosaic artist and teacher. 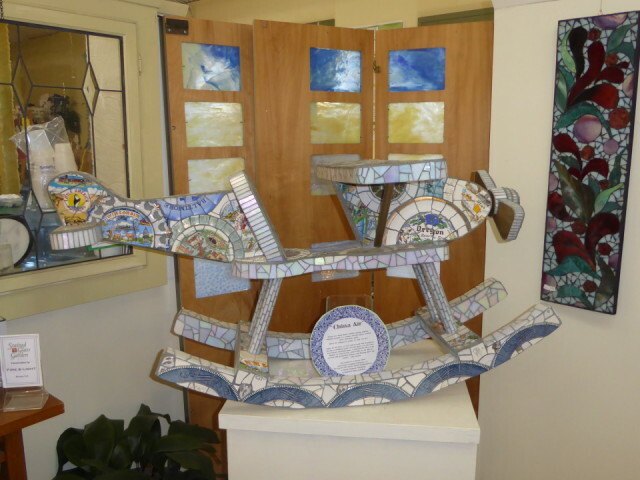 Mosaics mounted on a hand-made, wooden rocking airplane. 28-in wingspan, 52-in length, 24-in high, 47.5 pounds. Its airworthiness certificate is pending.